The latest issue (print date May 31, 2012) of The Journal just arrived here electronically. The Wallace-Rader skirmish climaxed on Feb. 7, 1979, during the interview. An 18-minute edited version of the 41⁄2 hours of conversation in Mr. Rader’s office on the Ambassador College campus went out over the air two months later, on April 15. I do remember watching that interview back then and because certain inaccuracies from Mike Wallace in it, I ceased regularly watching 60 Minutes. The current edition of The Journal mentioned that CGI broke its own records in reaching people to attend its public lectures in Jamaica. CGI in Jamaica, like LCG does all around the world (as now does UCG), uses public Bible lectures as a means of gospel proclamation. LCG also broke records for public proclamation in the past year, but that was not covered in this issue of The Journal. The Journal also mentioned a conference put on by Art Mokarow that also featured unitarian Anthony Buzzard. One of the many issues I (COGwriter) have with The Journal is that it too strongly cover unitarianism. There is also again an advertisement from a unitarian in this issue of The Journal and an ad opposing unitarianism. There were articles about the ecclesiastical roles for women, of differing persuasions (for a biblically-based view, please see Women and the New Testament Church). David Barrett’s new Fragmentation of a Sect book was also mentioned. David Barrett contacted me about this several times years ago and I attempted to correct various errors he had in some of his materials. Hopefully, the final version does not contain those and other errors. The Journal itself in print is also available by paid subscription (though some subscriptions are free to those who cannot afford it). Why will you be joined and become one with a false religion or a false doctrine? To be joined with, to mix God’s word on doctrine or prophecy with the false teachings of evil doers; is contrary to God’s word; makes us one with them; for even a little leaven leavens the whole lump. Why does Bob Thiel and LCG not understand that using pagan sources to support a prophetic position; does NOT confirm that positions at all! If a prophetic position is supported from a multitude of pagan sources it is absolute confirmation that the teaching is FALSE! James Malm is mistaken and apparently does not understand the relevant scriptures on the subject of reaching outsiders and prophecy. Notice that the Apostle Paul quoted pagan sources to help explain his teachings about God and prophecy. Furthermore, while James Malm, an individual who claims to have been associated with the old Worldwide Church of God for 8 1/2 years, seems to imply that trying to explain how non-biblical prophecies can affect humanity is a recent development unique to me and the Living Church of God, the reality is that decades ago the old Good News magazine quoted a lot of Catholic private prophecies to show that the one that we in the COG call Jesus seems to be referred to as Antichrist in certain Catholic prophecies. For documented proof see: Hill David Jon. Christ or Antichrist. Good News magazine, Radio Church of God, April 1961 and Hill, David Jon. Will you be deceived by Antichrist? Good News magazine of the Radio Church of God, October 1964. These articles clearly prove that the old COG used Catholic sources and prophecies like I have (plus there are numerous other Catholic sources quoted in a lot of the old literature). The Church of God position is not the pagan prophecies are correct or that we rely on them, but that people will be influenced by them–and that is also consistent with the writings of the Apostle Peter (2 Peter 2:3-7). Benedict is now on his last and could die at any time [I expect him to last for 2/3 more months; this has brought a large power struggle in the Vatican. Catholic tradition, in this case, is based upon the same Catholic prophecies that James Malm has blasted me for mentioning and indicated that this makes me a false teacher of some sort. His continual hypocrisy here is outrageous. He has previously written that if the current pope dies, there is an 80% that the Great Tribulation will begin this year. Now, while James Malm is wrong about the timing of the Great Tribulation (it 100% cannot begin in 2012), hopefully people can see his hypocrisy and how he is misleading people with his attacks against me and the Living Church of God. Now, as far as certain private Catholic prophecies go, let me state that I believe that Satan has revealed many parts of his plan through mystics and others. These prophecies often somewhat confirm biblical ones, as Satan does know scripture (cf. Matthew 4:6). Basically, and much of this is documented in my book 2012 and the Rise of the Secret Sect, Catholic prophecy teaches that at the time of the end, Catholics will be lax in their religion, this will result in civil unrest in Europe, and this will lead to militaristic leaders rising up (cf. Daniel 11:21-23). A highly successful Catholic leader (cf. Revelation 13:4) will go to Jerusalem (Daniel 11:31), also persecute the Church of God to the point they will flee and become inconsequential (cf. Daniel 11:30-35; Revelation 12:14-17), and some will hide in the wilderness by caves (Revelation 12:14-16). This leader will establish a new religious order (cf. Daniel 11:37-38), destroy the English peoples (cf. Daniel 11:39), this “prince of North” (Bible uses term “King of the North“), will eliminate the Islamic power (Daniel 11:40-43), will amass gold (Daniel 11:43), and will turn the world to support the final ecumenical religion (Revelation 13:4,8). He and a pope that does miracles (Revelation 13:11-15 ), will reign for about 4 years (cf. Daniel 11:29-39; 7:24-25), and get basically the whole world to believe their modified Catholic faith (cf. Revelation 13:8). They will come to their end after the issues related to Armageddon (Revelation 16:16). And part of why this is SATAN’s plan is that Catholic prophecy teaches that Antichrist wins and destroys them–yet the Bible clearly teaches that it is Jesus who returns after the gathering at Armageddon and who destroys the Beast (AKA the King of the North, which Catholic prophecy calls the “prince of the North” or the “Great Monarch”) and the False Prophet (which Catholic prophecy sometimes refers to as the “Angelic Pastor,” while others, more correctly, call him the “antipope’) per Revelation 19:19-20. The FACT that pagan prophecies, while twisted as sort of a “mirror image” of biblical ones, essentially confirm biblical prophecies, does not make understanding biblical prophecies false. Yet, on May 30, 2012 James Malm posted “If a prophetic position is supported from a multitude of pagan sources it is absolute confirmation that the teaching is FALSE.” He, of course, is wrong on that. The Bible warns that deception will hit all but the elect (Matthew 24:24) and that false prophets will arise and deceive many (Matthew 24:11). The Bible teaches that we who are Christian are not to be ignorant of Satan’s devices (2 Corinthians 2:11). And false prophecies are one of Satan’s many devices. James Malm is not only wrong and misleading many on this, he errs not knowing the scriptures. Those who rely on him will often be misled. Fatima Shock! What the Vatican Does Not Want You to Know About Fatima, Dogmas of Mary, and Future Apparitions. Whether or not you believe anything happened at Fatima, if you live long enough, you will be affected by its ramifications (cf. Isaiah 47; Revelation 17). Fatima Shock! is a highly documented book by Bob Thiel for those interested in the real truth about Fatima and how future apparitions may affect the future. 2012 and the Rise of the Secret Sect This is a link related to a book by Bob Thiel (COGwriter). This link also has YouTube videos. This book documents and explains hundreds of prophecies. And since it was published, world events have aligned with at least 22 predictions in the book and many more will to come to pass. Those who purchase the book at the www.thesecretsect.com website receive a lengthy bonus report documenting world events that aligned with the book. 2012 e o Surgimento da Seita Secreta (Portuguese Edition) 2012 livro do Dr. Thiel em português. Este livro documenta e explica centenas de profecias. E desde que foi publicado pela primeira vez, pelo menos 22 já começaram a acontecer. 2012 e o Surgimento da Seita Secreta (Brazilian Portuguese Edition) 2012 livro do Dr. Thiel. Edição em português do Brasil. Este livro documenta e explica centenas de profecias. E desde que foi publicado pela primeira vez, pelo menos 22 já começaram a acontecer. The Muslim Brotherhood’s candidate for the Egyptian president has promised that the country’s Christians would have full legal rights under his leadership…Morsi said that his government would not require women to wear the Islamic veil or to leave their jobs. San Diego Jewish World 30 May 2012- ‎By Morton A. Klein NEW YORK – Following last week’s Egyptian first round of voting in the country’s presidential election, which has seen the Muslim Brotherhood candidate, Mohamed Mursi, win a plurality of the vote (44%), the Zionist Organization of America (ZOA) has pointed to continuing, alarming developments in Egypt. The ZOA is urging the US to address these developments, not to ignore or dismiss them, as the State Department spokesman, Victoria Nuland, has been doing. If certain American government officials and politicians really understood biblical prophecy they would have more concern. But, alas, they normally do not. Moderates beware. The King of the South will form despite any assurances by Dr. Morsi hinting the contrary. The day of Pentecost, 2012, will prove to be most important to the return of Jesus Christ. As a prophet, God gives to me prophetic interpretation and additional prophecy not previously given in scripture. He does not do it all at one time, but in a “progressive” manner, as in a “building” process that involves a growing revelation of His will. That has been the case with how God has led His prophets throughout the ages. Because of this, that which has been spoken by the prophets has never been the “complete” and final revelation of a matter until it is God’s time to actually bring a prophecy to the actual moment of fulfillment—to be made manifest. This has always given critics and non-believers ample room to twist and mock what they do not understand in prophecy. May 27th has come and gone, so how can I say this is still the day of Christ’s return? The answer is a matter of God’s revelation which is spiritual in nature, but having a definite physical outcome. It is prophetic. I did not know that when I stated this was the “day” of Christ’s coming…May 27, 2012, has come and gone, but it is the prophetic day of Christ’s coming…The vast accumulation of end-time prophecy recorded throughout 6,000 years of history is magnified in the book, 2008 – God’s Final Witness. By saying that he simply speaks what God gives him, apparently Ron Weinland is blaming God for the fact that he was wrong about the return of Jesus and the great tribulation being over by May 27, 2012. For years, I have warned that Ron Weinland would pretend to spiritualize away the return of Jesus, and now he is trying to actually do that. Astounding gall. Did God also spiritualize away the nuclear attack that Ron Weinland said was to happen before Pentecost in 2008 as well as the other he proclaimed before Pentecost in 2012? It is not God who spoke to Ron Weinland. Ron Weinland is either getting his false prophecies and unbiblical explanations from his own imagination, the imaginations of others, and/or from demonic sources. Of course, no one who believes the truth will listen to Ron Weinland. Do not he and his supporters forget what the Bible teaches? How many times does Ronald Weinland have to be wrong for his followers to open their eyes and believe the Bible over him? Most people do not realize that Catholic prophecy basically teaches that Mary will support the Great Monarch (who actually is the final Beast of Revelation 13 and the King of the North of Daniel 11). Much of the deception about Fatima and the apparitions relates to the end time role of a “Lady” (cf. Isaiah 47). Demonic apparitions, which throughout history various apparition seers have tended to falsely identify as Mary, have played an important role in the advancement of the Church of Rome and against the Church of God. Very few seem to know the truth about how “Marian apparitions” have impacted the professing Christian world. My book, Fatima Shock! also explains what appears to be Satan’s plans for apparitions in the future based upon biblical and other prophecies. Fatima Shock! provides concerned Christians enough Catholic-documented facts needed to effectively counter every false Marian argument. Fatima Shock! is available at www.fatimashock.com; Amazon.com (http://www.amazon.com/Fatima-Shock-Truth-Future-Apparitions/dp/0984087176/ref=sr_1_3?ie=UTF8&qid=1336687621&sr=8-3); AmazonKindle (http://www.amazon.com/Fatima-Shock-ebook/dp/B0081APXBC/ref=sr_1_1?ie=UTF8&qid=1336687621&sr=8-1); Barnes & Noble Nook (http://www.barnesandnoble.com/w/fatima-shock-bob-thiel/1110624059?ean=2940014385640). Oddly, some Roman and Byzantine Catholic prophecies claim that God will establish Babylon in the end times and that this is good. The current pontiff seems to have a different view, but the next one may not. Some information on that is covered in the article Europa, the Beast, and the Book of Revelation. If you want a deeper understanding of the Marian matters than can be covered in news posts, you should read Fatima Shock! We will see how the above plays out. I felt then, as I do now, that there could be enough economic turmoil in Europe that the Euro could possibly be replaced, but still am not certain that it will be (but it could be and could possibly be part of an international basket of currencies). But I did feel that the Europeans would go for gold, and this is a step in that direction (and there will be more: the final King of the North will end up with more gold per Daniel 11:43). World events continue to line up with properly understood biblical prophecy. While Europe is not yet ready to support the final King of the North, we in the Church of God have long taught that it will be. And it likely will be relatively soon. Pope Benedict announced that he will proclaim St. John of Avila, a 16th-century Spanish priest, and St. Hildegard of Bingen, a 12th-century German abbess, as doctors of the universal church Oct. 7 in Rome. 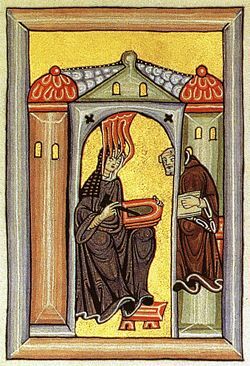 There are relatively few (33 others) “doctors of the universal church.” Adding Hildegard is dangerous for those in the COGs. Hildegard, who died in 1179, clearly had visions that seem to be opposed to Bible prophecy. The teaching that Christians in something that sounds like the biblical place of safety in the wilderness (Revelation 12:14-16), as well as those that support them, are tools of Satan is something that should concern all who believe Church of God doctrines. And the person who had this vision is essentially getting exalted as a higher level teacher/doctor. Perhaps I should point out that she wondered if her visions were of demonic source at times. I suspect that many were. UN and Russia Condemn Assad Regime: A Prelude to a Proxy War? By Joseph Logan | BEIRUT (Reuters) – Peace envoy Kofi Annan expressed “grave concern” to Syria’s President Bashar al-Assad on Tuesday and Western nations threw out its envoys to protest against a massacre of 108 civilians, many of them children,in the town of Houla.France, Britain, Canada, Germany, Italy, Spain and Australia said they were expelling the Syrian envoys from their capitals in a move that was coordinated with the United States and underlined Assad’s diplomatic isolation. The killings in Houla drew a chorus of powerful condemnation from around the world, with the United Nations saying entire families had been shot dead in their homes. BEIRUT — The U.N.’s human rights office said Tuesday that most of the 108 victims of a massacre in Syria last week were shot at close range, some of them women, children and entire families gunned down in their own homes. RUSSIA- Analysts indicated that Russia may be warning Syrian President Bashar al-Assad that he needs to change course or lose Moscow’s support, which has been a key layer of protection for the Syrian government during the uprising that began in March 2011. A weekend massacre of more than 100 people emerged as a potential turning point in the Syrian crisis Monday, galvanizing even staunch ally Russia to take an unusually hard line against President Bashar al-Assad’s government. Russia has grown increasingly critical of Damascus in recent months, but Foreign Minister Sergey Lavrov’s latest comments were unusually strong. Syria’s President Assad must realize that international condemnations, the recent US call for his removal (see Assad and Syria’s Latest Massacre), and Russia also condemning his regime suggest that the international community may actually eliminate him from running Syria. And since he does not want that, he will either decide to cooperate or fight. And if he does decide to fight Israel, he would likely do this in conjunction with Iran. Some, including Hal Lindsey (on his telecast) and Donald Blake (in the Wall Street Journal), have suggested that the stage is being set for Ezekiel 38 being fulfilled with Russia and Iran, and possibly Syria working together to invade Israel. However, for many reasons, including the fact that the tiny nation of Israel is not really a nation of unwalled villages, it is not. Ezekiel 38 is for a future time well after the USA itself is eliminated (some details are in the news article WSJ Suggests that Israel Should Destroy Iran; Ezekiel 38?). So, what may be happening now? Although Russia is once again condemning its ally Syria, it still seems to be willing to supply it arms. Similarly, it has provided Iran with nuclear and some military technology, while sometimes criticizing it. It may be that since Russia realizes that Iran and Syria are likely to have to have regime changes, that perhaps it wants them to function essentially as proxies in a war involving Israel and possibly the USA. A regional war, that somewhat gets out of control and may involve Syria (who is becoming a closer Iranian ally at this time) and others (including many based in Lebanon), beyond Iran and Israel is something I have warned could happen for some time now and really could be a factor that ultimately leads to the fulfillment of Daniel 9:27. Both Iran and Syria have offensive capabilities that could hurt Israel as well as the USA For example, if a “dirty bomb” (a bomb with radioactive materials), nuclear bomb, and/or EMP bomb were to be detonated in the United States because of Iran, this could cause the USA major problems. And while it is possible that Iran would not survive well what ever retaliation that the USA would likely provide, the USA could be partially crippled by some of its possible actions. Syria is believed to have the capability of utilizing chemical and biological weapons. These could truly damage Israel as well as possibly the USA. And even if the USA suffers relatively little from it and/or related terrorism, the economic cost will effect the USA and strain its military. Russia would tend to like that as it does not like the USA holding the position it currently does in the world (both economically and militarily). If there is a regional war and Syria is highly involved, then there is a chance its capital will be destroyed as the Bible shows that ultimately Damascus will be (Isaiah 17:1)–and that is one reason that I believe supports the idea that Israel may hurt enough that it hits back hard. Events are heating up in the Middle East. “And what I say to you, I say to all: Watch!” (Mark 13:37). Ezekiel 38 is not about to be fulfilled, but other prophecies are getting closer to being fulfilled. 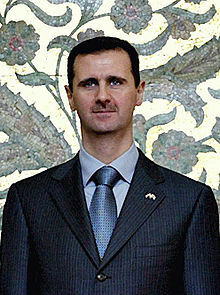 Posted in Prophecy | Comments Off on UN and Russia Condemn Assad Regime: A Prelude to a Proxy War? Tensions in a resource-rich region of central Asia threaten to disrupt a 25-year ceasefire between Armenia and Azerbaijan. The two nations signed a treaty after the Nagorno-Karabakh War (1988-1994). However, in a direct provocation, Azerbaijani troops entered Armenia and killed three out-of-uniform soldiers. An Armenian military source stated, “The killing is a clear provocation, we have not reacted yet. I underline: ‘Yet’.” The “war rumor” has raised concerns in the EU, Russia, and the U.S. due to the critical importance of the region. Russia’s 5,000 soldiers based in Armenia must intervene under a NATO-type Collective Security Treaty Organization agreement, if there is war. The U.S. also has hundreds of diplomats and thousands of Armenian-American passport holders in Armenia (EUobserver.com, May 14, 2012). As nations compete for spheres of interest, resources and recognition, “proxy wars can be expected” (German-Foreign-Policy.com, May 2, 2012). Jesus prophesied that just before the end of this age, “nation will rise against nation,” and “wars and rumors of wars” would dominate world news (Matthew 26:6-7). For nearly 6,000 years, mankind has failed to find the way to peace (Isaiah 59:8). Many Bible prophecies indicate that Jesus Christ will return to this earth and usher in an era of world peace in the Kingdom of God (Daniel 2:44; Isaiah 9:6-7). “He shall judge between many peoples, and rebuke strong nations afar off; they shall beat their swords into plowshares, and their spears into pruning hooks; nation shall not lift up sword against nation, neither shall they learn war anymore” (Micah 4:3). For more information about major end-time events, request our free booklet Fourteen Signs Announcing Christ’s Return. All the above-mentioned confirms that the Armenian policy still poses a serious threat to regional and international peace, security and stability and requires attention and response from the United Nations and the international community as a whole, the letter said. Azerbaijan is located on the northern end of the Iranian border and has issues with Iran as well (see Azerbaijan grants Israel use of its air bases: Prelude to Iranian strike? and Azerbaijan irritating Iran). Armenia, from a COG perspective, is interesting as it played a role in church history (see, for one example, The Pergamos Church Era). That conflict with Armenia cast a shadow over Eurovision. Armenia pulled out of the contest, preferring to pay fines rather than participate with its enemy as host. As reported at the beginning of this article, wars and rumors of war are prophesied, and some will occur (Revelation 6:3-4, see also Red Horseman of War). The Pergamos Church Era was predominant circa 450 A.D. to circa 1050 A.D. An especially persecuted Church. Discusses some Christians in Armenia. You are currently browsing the Church of God News weblog archives for May, 2012.